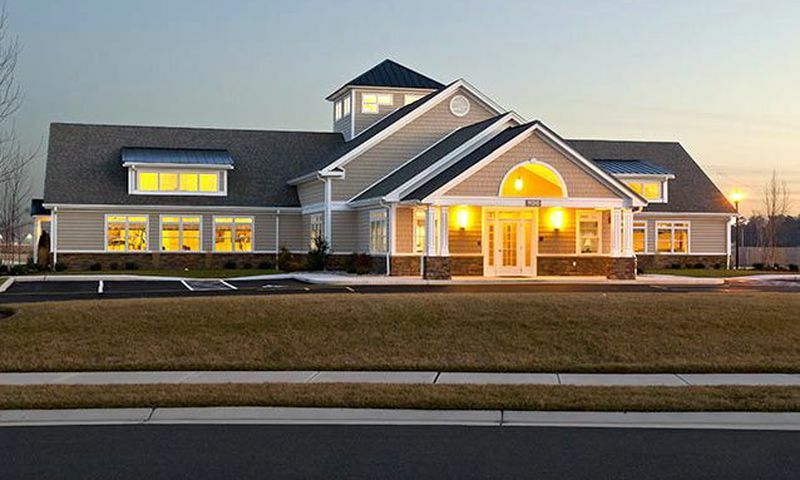 Vantage Point Retirement Living, Inc.
SummersGate is an excellent 55+ community in Salisbury, Maryland. Active adult homebuyers looking for a variety of home options in Eastern Maryland should look no further than this age-restricted community in Wicomico County. With plans for 216 traditionally-styled residences, SummersGate offers condos, attached villas, and single-family homes. Living amongst fellow active adults who share the same interests and hobbies as well as included resort-style amenities allow residents to live life to the fullest. Residents of SummersGate enjoy access to a 7,300 square-foot clubhouse that's well-appointed with amenities to stay both socially and physically active. The clubhouse has great room that is perfect for community parties. Activities can be held in the party and meeting room, card room, or pub area. They can have fun in the game room or play some billiards. Quiet evenings can be spent in the library reading a new novel or checking email by utilizing the computers. Homeowners never have to go far for an invigorating workout because the SummersGate clubhouse is complete with a fitness center. Outdoors, the community offers resort-style amenities with a heated pool and relaxing spa. The outdoor patio and BBQ area provides a wonderful space to spend time with neighbors during the summer months. The community has plenty of natural open space for scenic views. Construction of SummersGate began in 2008 and upon completion, plans call for 216 homes. There will be 100 condo units, 94 attached villas, and 22 single-family homes. Residences are available as new construction or resale. Condo units come in two floor plans with 1,230 or 1,346 square feet of living space with two bedrooms and two bathrooms. In total, there will be five 20-unit buildings with parking available along the front and side of the buildings. The unique attached villa homes offer between 1,820 and 2,030 square feet of living space with four floor plans. There are a variety of customizable options that offer one to five bedrooms, one-and-a-half to four bathrooms, and attached two-car garages. Villa models are offered as new construction and resale and feature first-floor master suites. Two single-family home models are available as new construction and resale. The Oak Grove has 1,386 square feet of living space with three bedrooms, two bathrooms, and an attached two-car garage. The Blakely is 1,399 square feet with three bedrooms, two bathrooms, and an attached two-car garage. Single-family homes within SummersGate offer first-floor master suites with a second-floor loft. Residents of SummersGate enjoy living in a community that takes care of home maintenance and yard work. Active adults live a carefree lifestyle with more time to partake in all of their favorite activities in the clubhouse. Homeowners enjoy the privacy of living within an age-restricted community while having the ability to entertain family and friends in comfort. SummersGate in Salisbury, Maryland is a wonderful age-restricted community near the Eastern Shore. Situated on 44 acres, this active adult community is close to shopping, dining, beaches, two colleges, and a top-ranked hospital. Salisbury is the largest city in Maryland s Eastern Shore region. It hosts a variety of events throughout the year like the Salisbury Festival, an annual Art War, and Vietnam Veterans Ceremony. Just minutes away, the downtown area is home to a variety of dining options, unique shopping, arts, and entertainment. Beautiful waterways, lush wooded areas, and plenty of wildlife can be found throughout Wicomico County. Whether exploring the great outdoors or the area s great culture, there are plenty of things to do while living in SummersGate. Clubhouse - 7,300 Sq. Ft. There are plenty of activities available in SummersGate. Here is a sample of some of the clubs, activities and classes offered here. Condos are available on a new and resale basis. Homebuyers can select a condo unit that offers 1,230 or 1,346 square feet of living space with two bedrooms and two bathrooms. Garage parking is available along the front and side of the building. There are four attached villas that offer 1,820 to 2,030 square feet of living space. They have one to five bedrooms, one-and-a-half to four bathrooms, and an attached two-car garage. Villa homes are available as new construction. These attached homes are great low-maintenance options that feature optional second floors for extra bedrooms and bathrooms. Single-family homes offer 1,386 and 1,399 square feet of living space. They have three bedrooms, two bathrooms, and an attached two-car garage. These residences are great for active adults who want privacy and main-level living. I purchased a condo here last summer and am very happy with the community so far. The price was very reasonable and I feel very safe living here. The people are friendly and the amenities are wonderful. I have recommended SummersGate to lots of my friends and I get a lot of nice compliments on my lovely home here. 55places.com is not affiliated with the developer(s) or homeowners association of SummersGate. The information you submit is distributed to a 55places.com Partner Agent, who is a licensed real estate agent. The information regarding SummersGate has not been verified or approved by the developer or homeowners association. Please verify all information prior to purchasing. 55places.com is not responsible for any errors regarding the information displayed on this website.